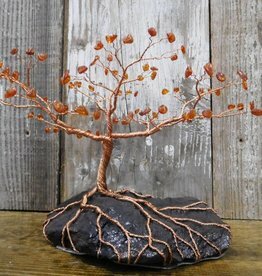 Stunning hand-made copper tree by Michigan artist Larry Walma. 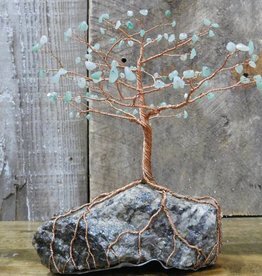 The tree is wrapped around granite found near Marquette Michigan and features genuine aventurine buds. Stunning hand-made copper tree by Michigan artist Larry Walma. 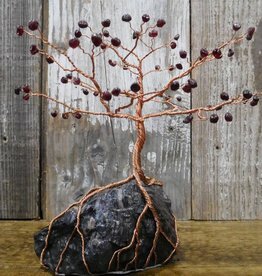 The tree is wrapped around an iron tailing found near Marquette Michigan and features genuine red garnet buds. Stunning hand-made copper tree by Michigan artist Larry Walma. The tree is wrapped around an iron tailing found near Marquette Michigan and features genuine amber buds.